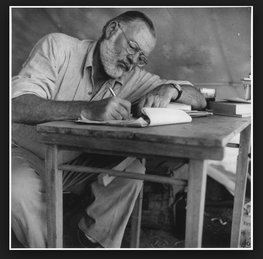 “The only kind of writing is rewriting.” This oh-so-famous Ernest Hemingway quote has been on my mind lately. You write, polish, revise, and edit. Then, you pass on your manuscript to another human being. The moment of truth. If you have a publisher, this is when you get your comments. If you’re breaking into the business, it’s when you hear back from your beta-reader, freelance editor, or agent. No matter where you are in your writing journey, it’s the time when you see your book in the harsh light of day through someone else’s eyes. Why am I obsessing about the Hemingway quote right now? Because I just got comments back for Abish Taylor #2. I have exactly twenty-six (26!) days to incorporate my editor’s thoughtful critique into my manuscript. There aren’t any shortcuts. No app. No Ted Talk. No podcast. Just me, her critique, and my computer. As I’ve been contemplating the art of the rewrite, I realized I do indeed have something resembling a process. It’s not perfect, and it certainly may not be for everyone, but because I’m in the middle of crunch time, I’ll share what helps me not only get through rewriting, but actually helps me (pretty much) enjoy the process. Feel free to take what resonates and leave what doesn’t. For those of you who are planners, here’s a preview of the posts about how to navigate the rewrite: Suggestion 1: Get honest, reliable, and tough feedback. (Finding someone to critique your work can be a challenge itself, which is why on Wednesday I’ll be interviewing Mike Cavaioni, the CEO of CritiqueMatch.com, about his platform that helps writers and bloggers connect and exchange feedback). Suggestion 2: Make a detailed plan of attack. Suggestion 3: Don’t let the demons win. Happy re-writing! See you tomorrow to explore how to make the most of your feedback.